After con man Greg Moxley married Rhoda Lorton, he took her money and flew - only to have his plane crash. Years later, Rhoda weds millionaire scion Carl Montaine. But now Moxley has turned up alive and well...with plans to pocket the Montaine fortune - or else make Rhoda's bigamy public. Desperate to protect the good name of Montaine, Rhoda seeks out Perry Mason. But before Mason can reel in Moxley, somebody murders the scheming blackmailer. In a case that abounds in lethal twists, Perry Mason suddenly finds himself on a collision course with a cold-blooded killer. 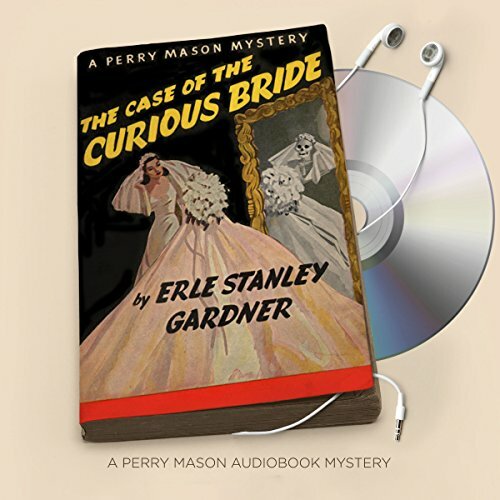 ©1934, 2011 Erle Stanley Gardner (P)2016 Brilliance Audio, all rights reserved. These original stories portray a very different lawyer than the one from the TV series. In the books he has more of a Gumshoe detective personality, more Bogart than Burr. The stories are a lot of fun.